Happy Tuesday everyone! This weekend project is about re-staining furniture. 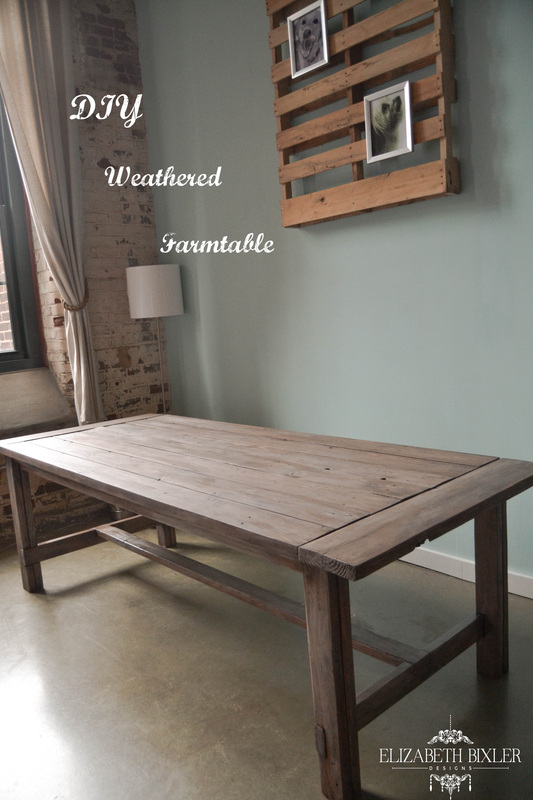 Before my husband and I met, he had built a farm table which looks amazing in our lofts! 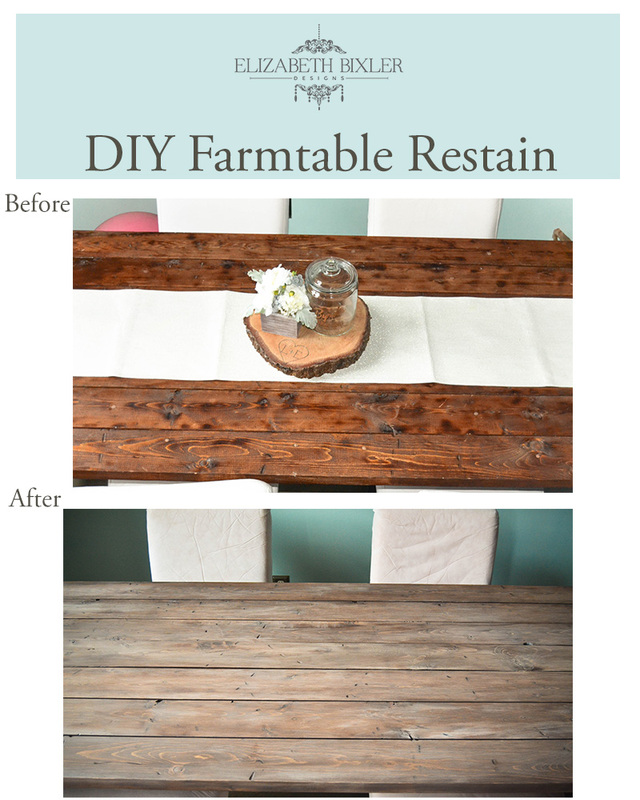 We are moving now and the rustic vibe this farm table has does not really coincide with our french country interior. Instead of spending extra money buying another table, we thought of repurposing what we had.We wanted to change the legs, but we couldn’t so we had to do the next best option which was staining it differently. I used a few different stains and a semi-white washing technique and I think it came out awesome! I will say that I can not stress the importance of the Minwax Pre-Stain Wood conditioner. It helped everything go on way easier. New Stain Mixed on Board – Check! Starting to like the way this is headed – Check! Love the after look! Great trick for making new wood look weathered and rustic without breaking the bank purchasing repurposed wood. Have any questions? Feel free to leave a comment below! 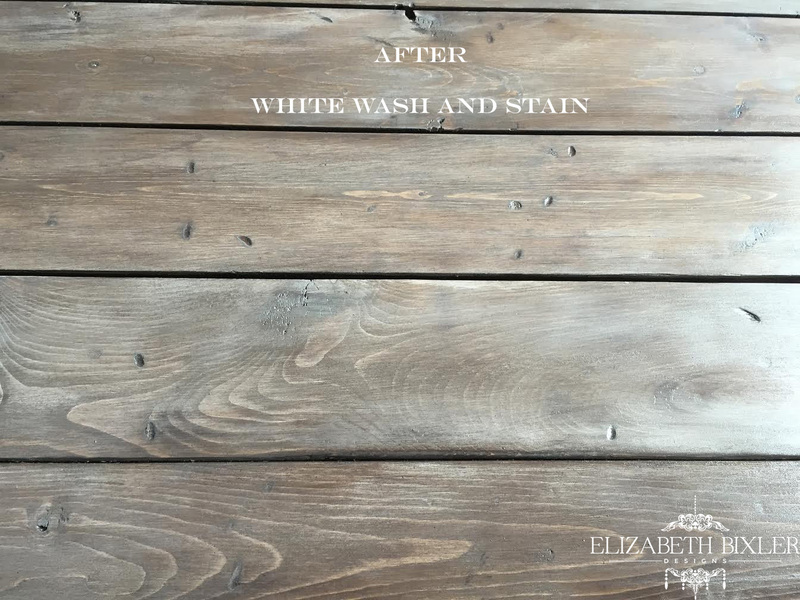 What did you use to do the white wash, and what brand/color of stain did you use? 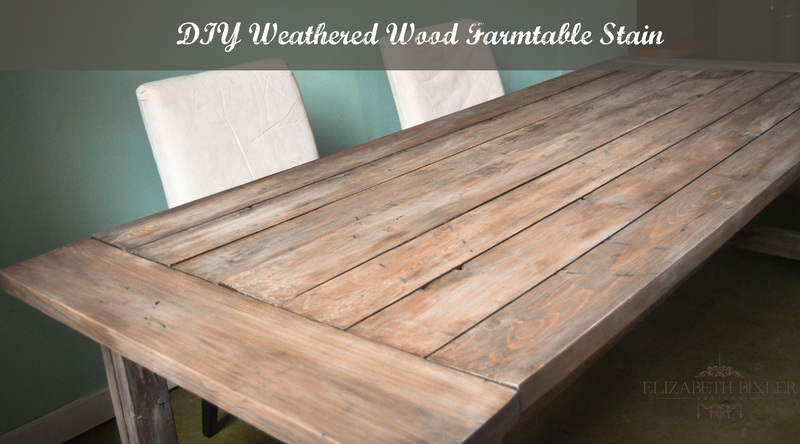 We just finished a farm table, and need to work on the stain piece… love yours!